There was no time to stop and get a photograph. While eastbound on Highway 382, a large bird lifted from the ground within my headlights and dropped a recently killed rabbit. It hesitated, perhaps wanting to return to its prey, but not long enough for a collision. I don’t know what species it was, but suspect it was an owl since it was two hours before sunrise. Owls live all around us in Big Grove and at night use the peak of our roof to observe the neighborhood and dine on small rodents. As I continued around the lakes, then westbound on Mehaffey Bridge Road a deer crossed the road in front of me. I tapped the brakes. It was less dramatic than the bird of prey. I’m used to living with wildlife after so many years. I know what to do. 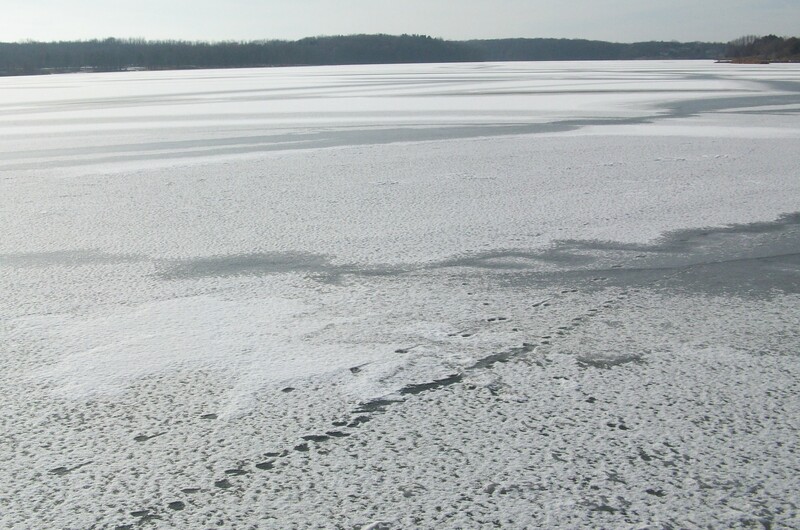 The lakes are covered with a smooth surface of ice, perfect for skating. With a couple more days of deep freeze, conditions should be excellent. The problem is no one I know ice skates any more and it is not a solitary activity. Time was we would clear a rink and sometimes start a bonfire. Importantly, it was fun. We’re getting older and other things occupy neighbors, busy looking at screens, I cynically suppose. Wildlife appears to be flourishing. Maybe I’m just noticing. It is possible to step away from the screens and observe nature… a nature adapted to the built environment humans made since settling here in the 1830s. There was no risk of roadkill when there were no motorized vehicles or roads. I don’t have much to say about the world outside our ecosystem today. Aren’t others saying enough? Suffice it that the 25-minute trip to work provides a window to the world around us. I wonder if the owl returned for it’s dinner? This entry was posted in Environment, Writing and tagged #amwriting, environment, Writing. Bookmark the permalink.